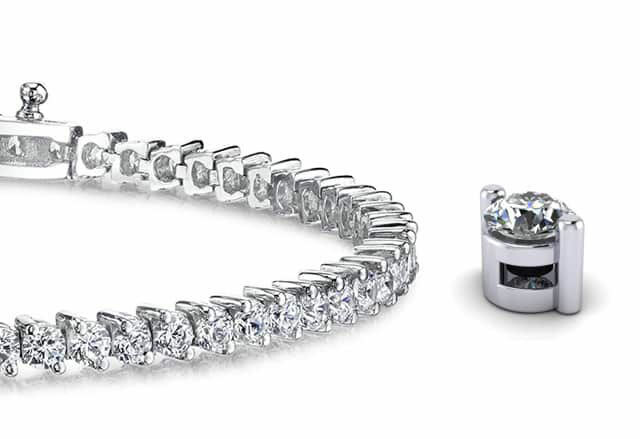 This classic 2-Prong round diamond adjustable slider bracelet is designed using a minimum amount of metal in order to showcase the brilliance of each diamond. It can be purchased in Platinum or Gold and in a variety of diamond total weights. Stone Carat Weight: 31X.017 ct.